The reserve wicket-keeper slot has gone to Dinesh Karthik, and this has triggered a big debate on social media. Rishabh Pant is one of the most exciting young cricketers in the world and he has earned the love and respect of Indian cricket fans in a short period of time. Mumbai: India announced their 15-man squad for the World Cup, to be played in the UK from May 30, 2019. While there were no major surprises, exclusion of Rishabh Pant, who was elevated to the top tier 1 BCCI’s central contracts a few weeks ago, was the notable point. Who will be the reserve wicket-keeper? Interestingly, the selectors decided to drop Ambati Rayudu, who was, until a couple of months ago, was India’s first-choice ‘number 4’ batsman. In fact, on 20th October 2018, Virat Kohli had said that the team wants to give Ambati Rayudu enough chances to settle in as India's No.4 before ICC World Cup 2019. However, instead of Ambati Rayudu, the selectors have decided to put their weight behind Vijay Shankar and KL Rahul. And this means, “who will bat at number 4” debate is still open as both these batsmen haven’t done anything extraordinary for India, batting at number 4 position in one-day international (ODI) cricket. However, the second question has been answered. The reserve wicket-keeper slot has gone to Dinesh Karthik, and this has triggered a big debate on social media. Rishabh Pant is one of the most exciting young cricketers in the world and he has earned the love and respect of Indian cricket fans in a short period of time. Many Indian cricket fans, former cricketers and pundits are surprised by Pant’s exclusion but it is the right decision if we consider the following reasons. In India’s last ODI series against Australia, Pant, in the absence of MS Dhoni, missed some very easy chances at crucial moments. This allowed the match to slip away from India, resulting in loses. 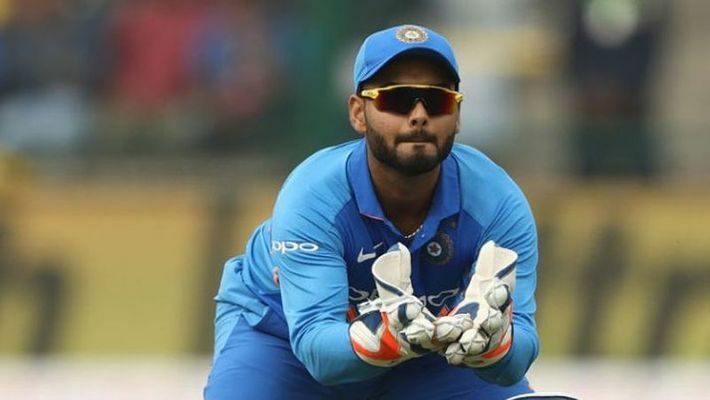 Those mistakes at crunch moments indicated that Pant, perhaps, wasn’t ready to don the big gloves of being India’s first-choice wicketkeeper-batsman. In case MS Dhoni gets injured, Dinesh Karthik is a much safer option than Rishabh Pant behind the stumps. Experience, more often than not, makes a huge difference in big tournaments such as the World Cup. Dinesh Karthik has been batting very well for India and doing a good job as a finisher. He also has a lot of experience of playing in English conditions and big ICC tournaments. In last three ODI series, he averages 38, 37 and 48.66 against New Zealand, Australia and in Asia Cup, respectively. On the other hand, Pant hasn’t made any significant contribution in ODI cricket so far. He has featured in 2 ODI series for India, played 5 matches and scored 93 runs at an average of 23.25. Karthik is also a very busy batsman and he keeps the run-rate steady with his ability to find gaps and take ones and twos. In case India loses early wickets, Karthik has the ability to adjust his game and hold one end tight. And, of late, Karthik has also shown that he can bat down the order and do the job of a finisher effectively.